Milkweed is one of the most versatile plants in God’s vast wild grocery store. It provides many medicinal and practical benefits and SIX edible vegetables throughout nature’s wave. Asparagus, spinach, broccoli, sugar, potatoes and cheese!! This is the BROCCOLI stage. The tight green flower buds. Pick them before they turn pink which indicates they are ready to bloom forth into the Milkweed blossoms. Salt a pan of water and get it to a rolling boil and then add the Milkweed flower buds (broccoli) and boil for 3-4 minutes, strain and then freeze, pickle, stir fry or put in a casserole or a sauce for some good eating! The reason why you boil it first is to get rid of any of the latex (which is toxic and bitter) if you put the Milkweed into cold water and then bring it to a boil it will set the bitterness IN, which is not what you want. If you decide to freeze for Winter’s use lay out in a single layer till frozen and then bag up and refreeze. This will keep it from clumping together. 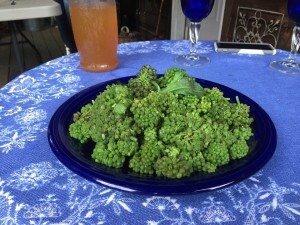 Here is the recipe for the Milkweed Broccoli vegetarian spaghetti that I served at a recent Forage to Feast. Heat olive oil in a large skillet over medium heat. Add onions and garlic and cook for a minute. Add diced red peppers and saute for another minute or so. 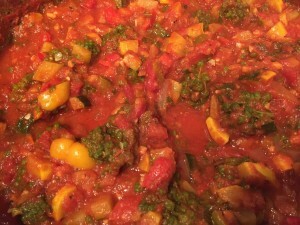 Add lambsquarter, squash, mushrooms and Milkweed broccoli heads and cook for a few minutes. Pour in wine, add salt, pepper, and red pepper flakes, and stir. 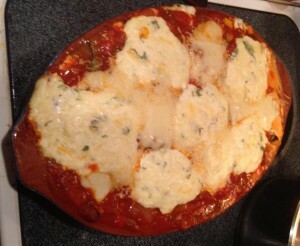 Kelly Clappit put the above sauce into this amazing Wild Lasagna at our last feast. It was delicious!